There’s a growing trend in the wedding world that I’m growing more and more in love with and we’re calling it personal over pretense. For decades it has seemed like weddings were a lather, rinse, repeat in a lot of ways. Choose your date, choose your venue, choose your colors, choose your flowers, dress, and bridesmaids and you were set. With each passing year, the festivities and necessities seemed to become more opulent. 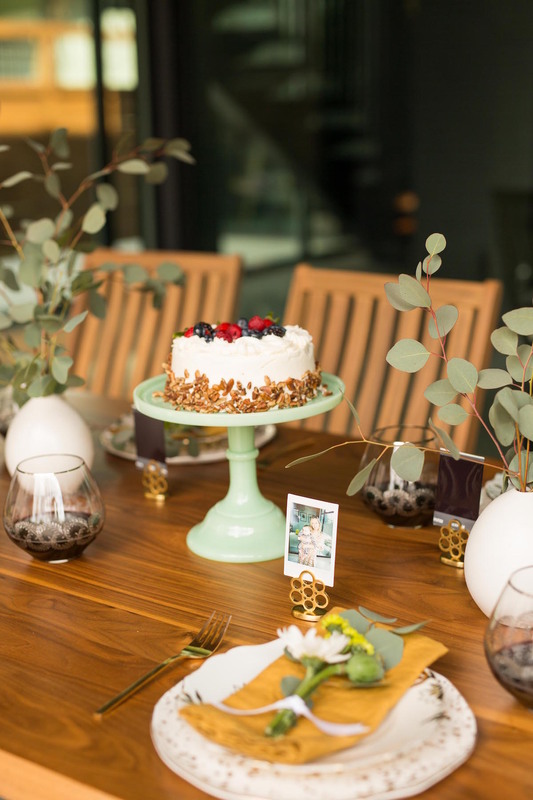 There was the fancy letterpress stationary set, the typical guest book with thick, organic edged pages, and party favors of soap or bubbles or the like. Lately, though, I’ve been watching as friends and relations put a very personal touch on things. 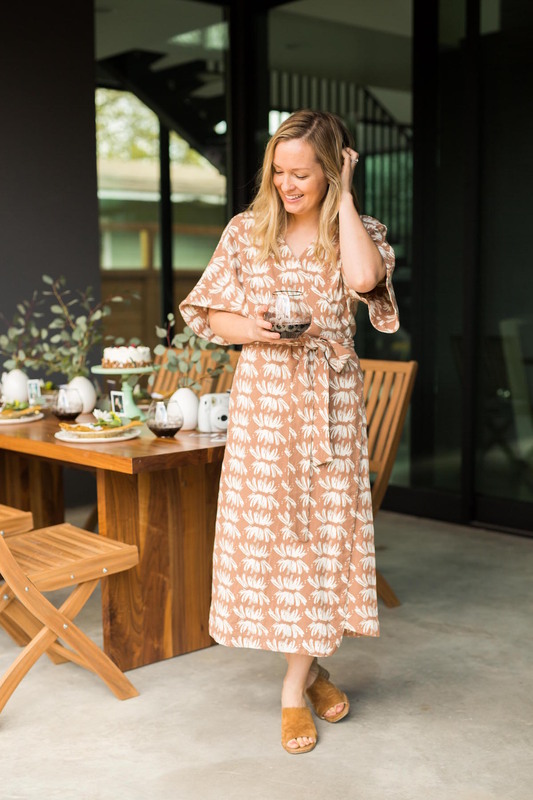 Things like a sunrise hike to the ceremony destination followed by a breakfast reception or silk and lace wide-legged trousers with a coordinating top in lieu of a gown. It fills me with so much joy to see couples putting their own spin on what it means to get married in 2018 and beyond. 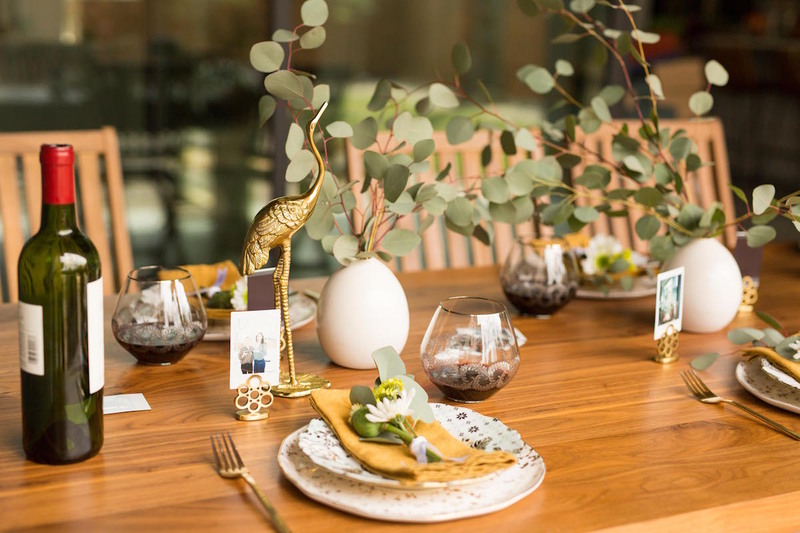 We created our own wedding table with P-touch Embellish, the custom ribbon and tape printer, to put our own inexpensive, personal touches on a simple nuptial shindig for the modern couple. Keep reading for all the ways we added meaning over money. 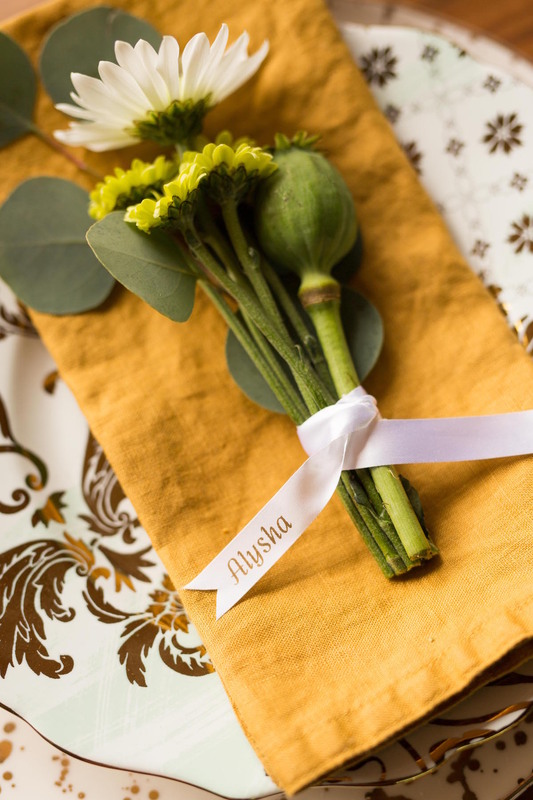 Instead of oversized floral arrangements, we made mini bouquets for each place setting and wrapped them with a ribbon that donned each guest’s name. 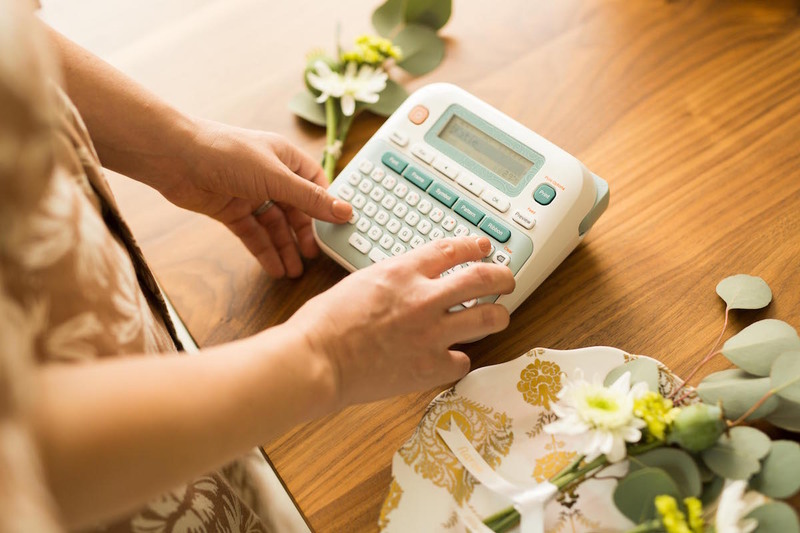 We printed the ribbons using the ‘Cairo’ font on the P-touch Embellish We went with white ribbons and gold lettering, but there are so many options to choose from. P-touch Embellish has 14 fonts, over 90 borders, over 400 symbols and 25 patterns to choose from! 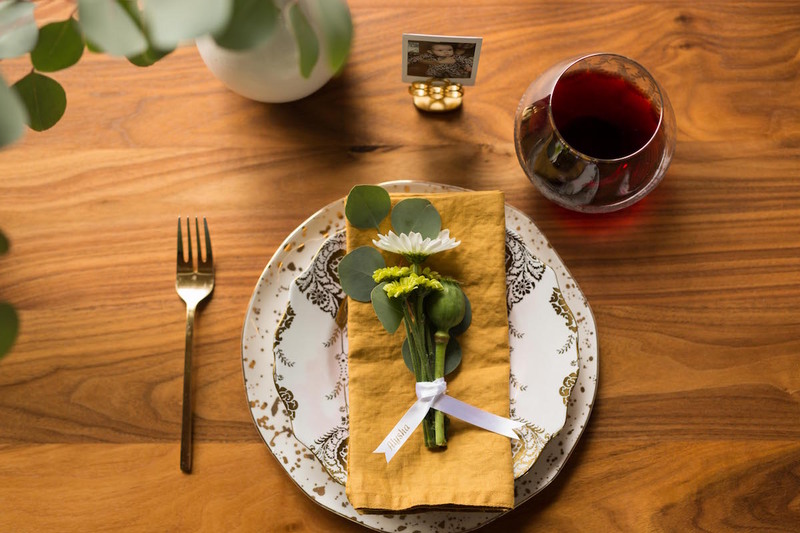 This mini arrangement is not just a personal touch, but a pretty pop of color for the table. 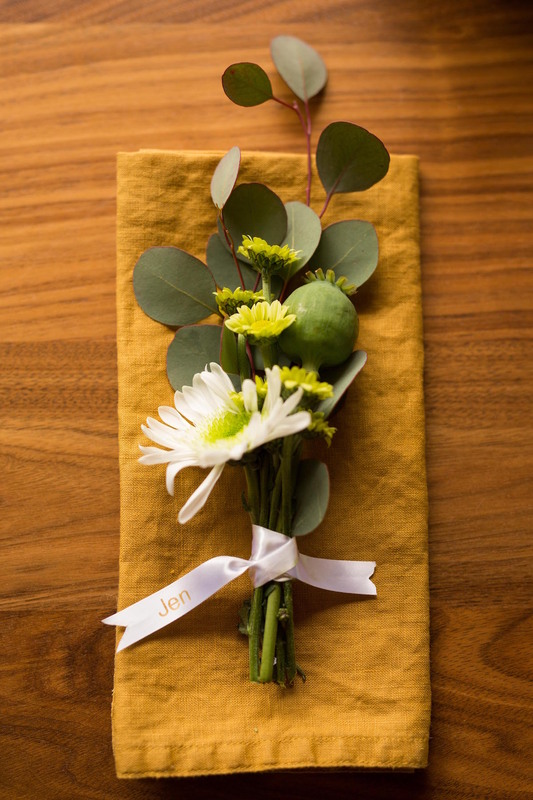 Bonus: All of these flowers will dry beautifully so guests can take them home as a favor. 2. 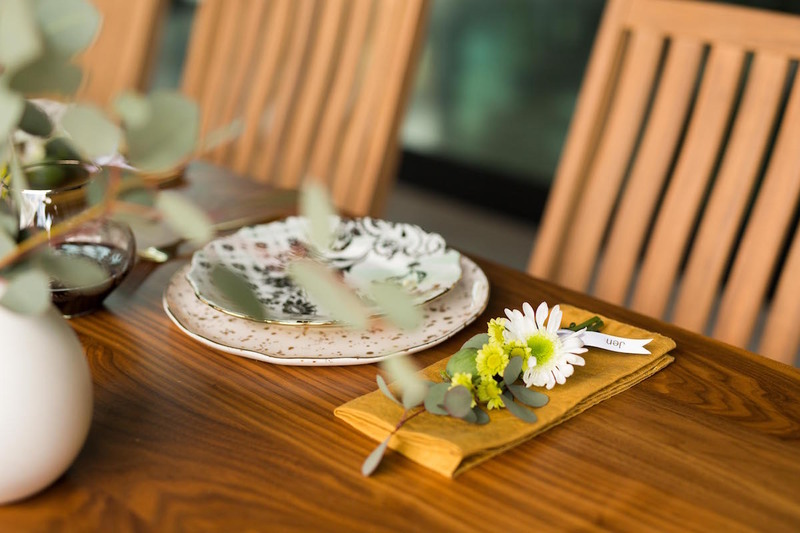 For the center of the table we used silver dollar eucalyptus. The key here is to opt for vases that have an extremely narrow opening. It means you don’t need as many steps to create height and fullness. 3. Mix and match dishware from family and friends. So many people rarely get to use their wedding china. 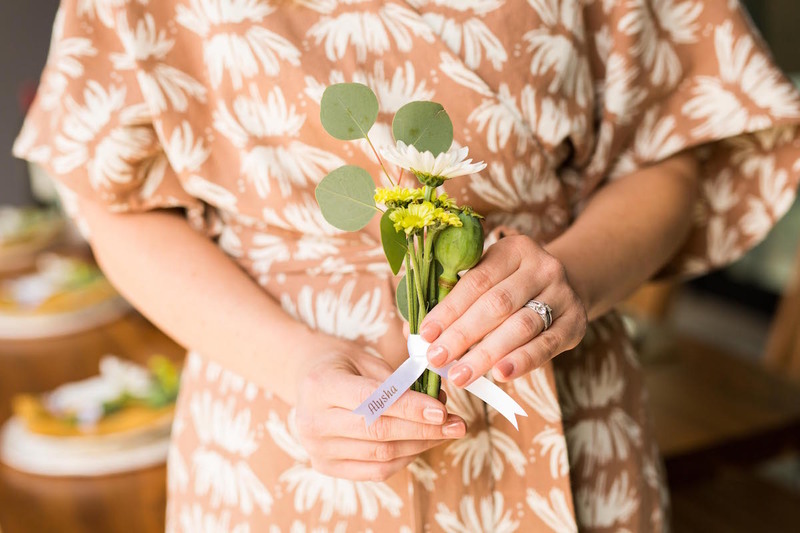 You might be surprised how many are happy to lend you theirs for your big day adding both meaning for you as well as for them. It’s a way for family members to be involved and represented.